WHEN it comes to coffee, how hot is hot enough? 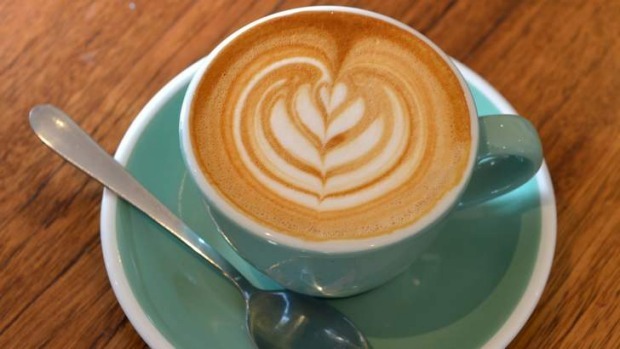 And if you ask for it hotter than it is customarily served, should the barista throw a tantrum and behave like a chef who has been asked to cook a well-done steak, or simply give you what you want? It's a tough call - involving chemical reactions, damaged taste buds, bad coffee habits, loss of dignity and, frankly, profound ignorance. 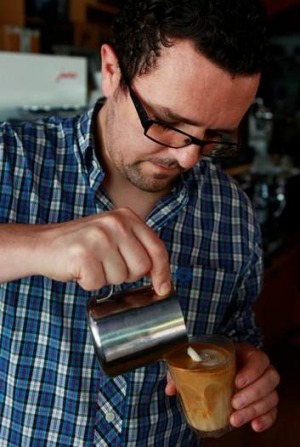 David Makin, co-owner of Axil Coffee Roasters in Burwood Road, Hawthorn, has won five Victorian barista championships, two national titles and finished second in the World Barista Championships in 2008. He has no doubt as to the answer. ''The customer is paying and, therefore, we will serve the coffee as hot as we realistically can if that's what's asked for,'' he says. ''The big thing is the milk,'' Makin says. ''A Maillard reaction takes place past a certain temperature and the effect of that is to break down the natural sugars in the milk, making it bitter. Milk, which boils at 86 degrees, should be served at no more than 65 degrees. Because what happens between those two temperatures is the Maillard reaction. Simple as that. But why has it become an issue? ''It comes,'' Makin says, ''from the fact that so many Australians drink instant coffee at home. They make it with boiling water and drink it far too hot. The process of extracting espresso coffee with steam is simple enough. But there is a world of difference between the machines that people such as Makin and his baristas use and the machine you may see (or hear) in a corner shop or a country cafe. Steam is generated and pumped through both the coffee and the milk. But the top machines have twin boilers that allow temperatures and pressures for these processes to be set independently. Coffee, for example, is extracted at 92-96 degrees. One of the most nauseating blunders occurs, however, when the person making the coffee simply tops up leftover milk in a jug, and pumps through more steam. Another aspect of coffee service is cup temperature: a responsible cafe operator will always serve coffee in warm or even hot cups. But in essence, it is the entire package that delivers great coffee - not just the temperature, not just the barista, and not just the beans.